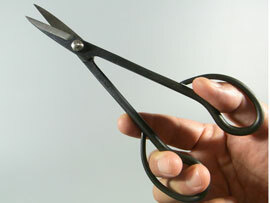 This scissors is suitable for small bonsai and medium bonsai . 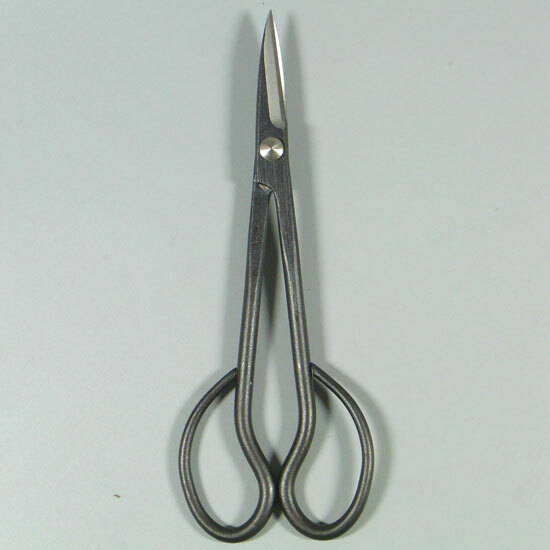 You can cut the small branch , leaves and bud. This steel is blue steel. 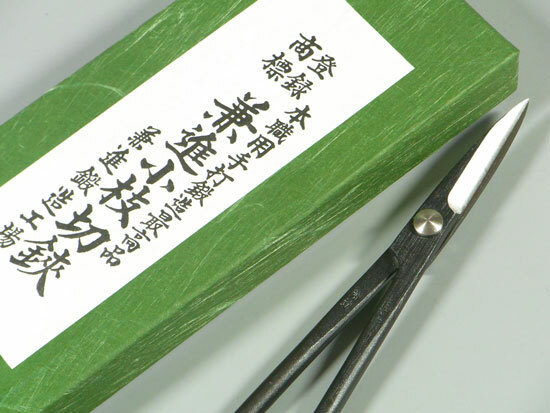 This is the most expensive material among Yasuki Steel. 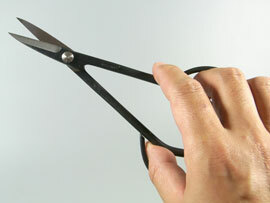 Most of Kaneshins’ bonsai and trimming scissors are made from “Yasuki steel (Hagane)” Hagane is the Japanese word for steel, and Yasuki is the name of the city. Steel has been made in the Yasuki area since ancient times due to the fact that iron sand is mined locally. Iron sand is supposed to have less impurities than iron ore. The steel for the famous Japanese “Tama-hagane” swords is produced here, and can be many times more expensive than normal steel. Yasuki steel is renowned for being one of the best quality steels in the world now. There are 3 types of Yasuki steel – Blue, White and Yellow. Don’t make the mistake of thinking that the steel is this colour. In the olden days, the craftsmen used to put coloured paper on each steel to distinguish which type of steel it was. At that time, they used Blue paper, White paper, and Yellow, so it is the colour of the paper used which is where the colour element comes from, and not the steel itself. However, this began the tradition of naming them Blue steel, White steel, and Yellow steel. Yellow steel : Whilst this steel is not as high quality as either the blue or white steel, it is till a very good quality Yasuki steel, and far superior to normal steel. 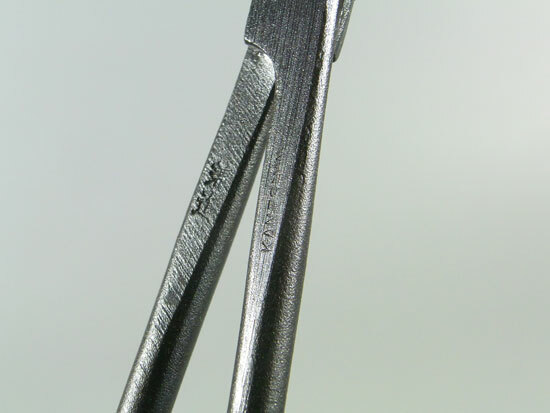 White steel : This steel is strong and is ground sharp enough to be ideally suited to cutting thicker branches. Blue steel : This is the best quality Yasuki steel we use. 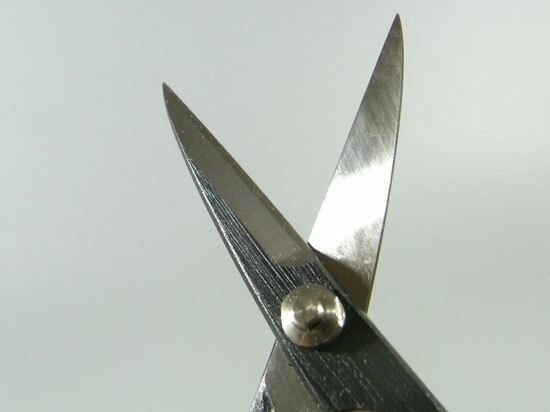 We can get the sharpest edge using this steel, which means you achieve a very clean cut when cutting thinner and softer things such as leaves and buds. 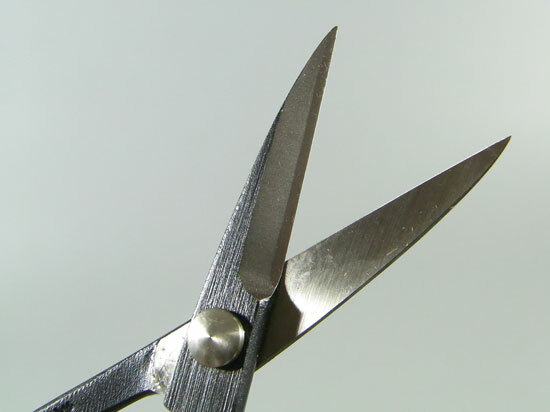 When compared to white steel, there is not much difference when cutting thicker branches, but it is more effective for softer materials. Bonsai craftsman "Mr.Hiroki Miura " is actually working with No.35D.